Lacey is a lovely grown-out pixie style with vertical layers that can be worn wispy or brushed up. 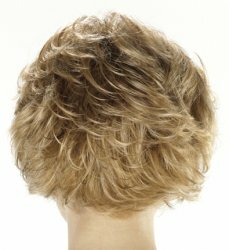 This READY TO WEAR LACE FRONT monofilament wig has a hand tied crown and front, creating a natural hairline that can be styled in any direction desired. No cutting or gluing necessary.